I know how desperate you are to know how to lose belly fat for women, especially if you've tried every diet out there (Keto, CICO and Paleo to name a few), which is why I have compiled a list of fat burning workouts for women that help to burn belly fat and to get you in shape both at home and at a gym. Staying in shape and looking smart go hand in hand with hard work. Especially when you have a body that loves to give home to those sticky fats. It takes a few munches out of the line to gain weight but losing those few pounds could stretch over the months. The tedious task of burning that stubborn fat is best done by setting a workout routine. But the thing to keep in mind in here is to stay consistent with the workout; either you spare five minutes for it or an hour, keep it on daily basis. Be it a morning walk or a night stroll, biking or swimming, gym workout or a few crunches in your living room, consistency is the key. When we talk about weight gain and fats, we come across the fact that women all around the world have a higher tendency to gain weight compared to men, owing to the factors of childbirth and excessive hormonal changes in their bodies. Once the fat accumulates, it becomes hard to lose and the worry starts. The first thing a woman should know is to love her body no matter how fat she is, hating yourself is not the solution. Obesity and excessive weight invite a number of diseases and malfunctions in the body, as it affects the efficiency of the organs; diabetes and hypertension are top of them. A healthy body is much more important than a beautiful body and luckily it is no more a dream now. Mentioned below are five simple, yet promising fat burning exercises for women that would give your metabolism a boost, are easy to practice and could be done at home without any instructor. 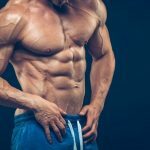 If you keep following these five basic exercises with consistency and diet control, you could get the desired weight loss results in even lesser time. All these cardio workouts could be done at home easily as they do not require any equipment. You could practice them during cooking or laundry washing as well. All you need is the motivation to stay in shape. Skip off that stubborn fat with rope: Rope skipping is known to be one of the oldest forms of cardio that boosts metabolism and increases blood flow, helping you burn calories and lose pounds. Make sure to stay light on your feet and stretch your arms, working through your wrists while jumping and inhaling. Exhale on the way down to the ground and repeat the whole thing again and keep increasing the count every day a little. Crunch away the saggy belly: Women with heavy fat on their tummies feel the crunches to be the easiest workout, probably because you get to lay down in this workout, who knows. Lie down on your back, stretch your legs to their full, tuck your tummy in as much as you can, put your both hands under your head, head facing the sky. Now lift your neck and put full pressure on the tummy while you do so. This will help squeeze your upper tummy. Make several repetitions. Pedal off the abdominal fat: Cycling does not only help get your tummy tucked, it affects your whole body and helps build up the muscle, increases your stamina and strengthens your heart. If cycling in outdoor is not a feasible option for you, then that living room rug of yours could help you a lot. Just lie down on your back, lift your legs bent at the knee, both hands behind your head, lift your head and start pedalling your feet in the air. You will feel the involvement of the whole lower body in this workout which is promising for weight loss. 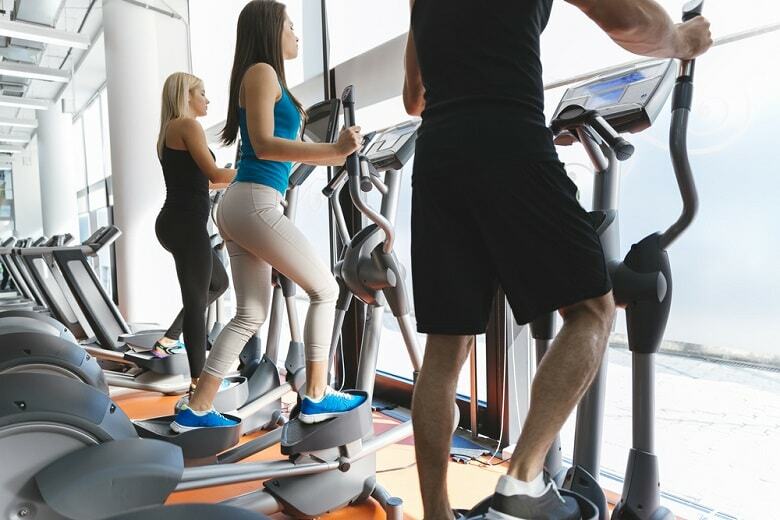 Even better option is joining a spinning session in the gym. Jump to pump the heart: Turn the beat high on the stereo and start jumping on your feet, let the energy in your arms swing out, jump, kick, punch the air and make your heart beat faster. This is the most enjoyable workout. Open your legs in the air, twist the feet, enjoy the beat and bring on the heat. Jogging off those muffin cups: Jogging too is known to be the simplest yet one of the best ways to lose belly fat. All you need to do is to find a place in the house where you could make a little run job easily. Now inhale and start jogging forwards, taking little steps while moving your arms in a cycling motion. Once you get in a flow, start leaping a bit faster. The women who get to the gym for a workout, have one major advantage over the women who workout at home, which is a company. Being alone at home for the workout does not give you the motivation that you get at the gym. If you want to know how to lose stomach fat at gym faster, just get a friend along to gym and you both will keep each other motivated for weight loss. The effective weight burning workouts at the gym also depend majorly on the availability of required equipment. If you wish to build up some muscle along with losing weight, start lifting weights. Pick little weights at the beginning and then increase with time. Set a routine for the gym and give yourself some rest days too. This will help you not to get bored of the same routine each day. Elliptical Trainer: it is a stationary machine which imitates the staircase movement. It could be used for running, jogging and brisk walk. As it does not exert extensive pressure as that of a treadmill, starting with this basic machine would be enjoyable too. Treadmill: Treadmill is a gym trainer that is designed mainly for running and jogging. Having a heavy belt at the foot that you have to push backwards with extensive force, the mill helps your muscle get build up in the legs and helps reduce the body fat. Benches: once inside the gym, you will find a number of benches along the weights. Each bench is designed to facilitate fat burning. 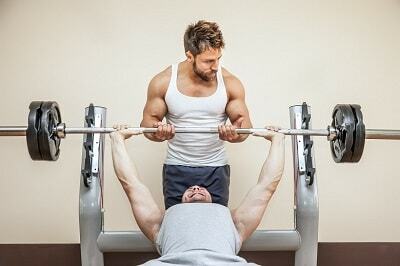 For every specific bench, you gym trainer will instruct you differently. Get the tummy tucker and burn fat on belly. Ball: Those colorful huge balls in the gym are great for losing tummy fat. Lying down on them or using them in aerobics will boost up your weight loss process. Fat burning foods for women – Food that helps to lose your pounds! If you love to eat and run away from any weight loss programs just because you can’t starve yourself, here is the good news for you. You can eat as much as you like even for the weight loss. But change the choice of foods towards healthy and nutritious ones. You would be amazed to know that there are several foods that target your belly fat directly and help tighten the tummy. Here at MassGainSource, we have compiled a list of 7 fat burning foods for women that are not only nutritious but also aid remarkably in tummy tucking. 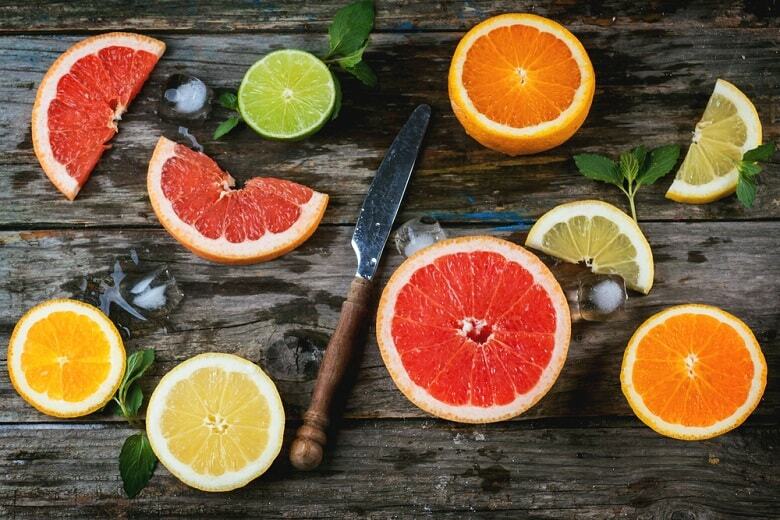 Grape Fruit: Top on our list here is the grapefruit-undoubtedly a magical fruit. It helps lower the insulin levels in the body which in turn promotes weight loss and a fast metabolism. Lemon: Not only would lemon help you look slimmer, it would help you look prettier too as it helps increase the metabolism of the body and brings a natural glow to the skin making you look younger. Watermelon: The role of the watermelon in weight loss is even prettier than its looks. The excess amount of water in watermelon promotes digestion and helps you feel lighter. From now on, try snacking on watermelon in place of pizza. Almonds: Almonds are rich in protein, they kick-start your metabolism and keep your tummy feel full. Green Tea: This natural tea has known for its wonders in the field of weight loss. Helping one’s body get rid of toxins and keep you energised for the whole day, replacing your soft drinks with green tea could be marvellous. Pineapple: Like watermelon, pineapple is rich in its water content and low in calories. Take it in the form of plain juice or add other fruits to make a punch, this fruit would help tighten that saggy tummy a lot. Cucumber: Cucumber is the best kind of salad too and helps burn fat since its 80% water. Water increases the metabolic activity of the body and helps you lose fast. Drinking plenty of water helps a lot in weight loss; it keeps the body hydrated and helps a lot to digest food. The more water you take in, the higher will be the metabolism in your body. 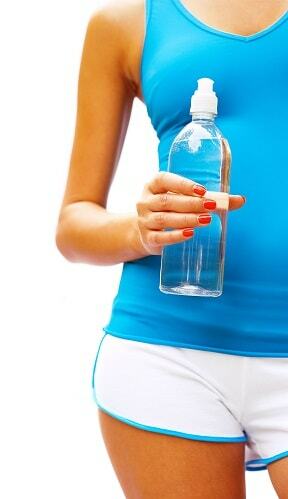 Drinking water on an empty stomach is known for its remarkable weight loss effects. Drinking a glass of water right before you start meal helps you feel full earlier and keeps your hand off the plate. Wherever you go, keep a small bottle of water along with you. Drink, refill and lose. Say goodbye to those bad habits and get in shape. Next time when you go for your 12 am fridge checking, try drinking water and move away from the fridge. When you have the option to choose between a fruit and a candy bar, go for natural one. You could spice up your diet with the flavors you love, make smoothies from fruits and vegetables, enjoy colorful salad bowls, squeeze delicious juices from seasonal fruits, mixes those juices up and enjoy the cocktails, make sweet and salty combinations out of nuts…in short you could do a lot that you like and enjoy. Partner up with a member of a family to keep you motivated at home and a friend outside home. With the change in these habits, add the fat burning workouts for women to your routine too and in no time you would see wonders. When we face the question how to lose belly fat, being sporty can help you a lot and it will keep you happy too. If you get bored of those evening workouts, try going out to some outdoor sports club. Join a team and start playing. Sports are the healthiest of habits as they keep both your mind and body healthy and active. The best sport for women is basketball in my opinion. It keeps you active throughout the game and burns a lot of calories too. You could also go swimming with a friend and race. Swimming helps build up your muscle and stamina both. If you like to cycle, go to some nearby park and pedal away the fats and worries together. If you have a knack of walking, go for an evening stroll. The indoor games also help you lose weight. Table tennis, for instance, is an easy to play game while it helps you burn the fats a lot. In short, there are many ways to aid you in your fat burning process. Just go picking the one that suits you and get in shape in no time. Just remember that consistency is the key for everything to show some result. Good luck! Belly fat has been one of the things I hate to see on my body. I started rope skipping last two weeks when I noticed that I have too much fat there and it has been helpful but I’ve not been able to increase the count significantly. How do I achieve this? Hi Trish. Great that you started doing something to burn the fat and improve your form. Rope skipping is a great exercise. It takes time to increase the count. You have just started so keep exercising every day and slowly you will improve and be able to do more counts or add other exercises. You made the first step and now just need to keep going on – don’t give up! I recently started a new job and get around an hour during my lunch break. I bought a gym membership at a nearby gym and am able to go 5x a week now. I have been at it for about 1 month now. I definitely notice some fat loss, however, I know I am eating a calorie deficit. I will try to incorporate those fat burning exercises too, especially the kettlebell swings!